FINRA has barred former Morgan Stanley manager Terry McCoy of Palm Harbor, Florida based on Mr. McCoy’s failure to supervise former Morgan Stanely broker Ami Forte while Ms. Forte engaged in churning and elderly abuse in the account of Roy M. Speer, the founder of the Home Shopping Network. In March 2016, a FINRA arbitration panel entered an award in favor of Mr. Speer’s estate against Morgan Stanley, Forte, and McCoy for over $34 million, based on findings that the respondents engaged in unauthorized trading, churning, breach of fiduciary duty, constructive fraud, negligence, negligent supervision, unjust enrichment, and violations of Florida’s statute prohibiting exploitation of vulnerable adults. The Claimants’ attorney alleged that unauthorized trading was “rampant” in the account, with excessive trading generating over $9 million in commissions in less than one year from September 2011 through July 2012. This month, FINRA took a further regulatory step of banning Mr. McCoy from the securities industry. 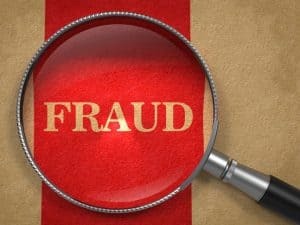 FINRA’s Acceptance, Waiver, and Consent letter included findings that McCoy failed to identify excessive and unsuitable trading activity and failed to detect changes in the customer’s account objectives that had been made without customer approval. FINRA further found that McCoy failed to detect the frequent use of discretion in the accounts, notwithstanding the client’s obvious mental decline. Hundreds of trades occurred in the customer’s accounts even while he was hospitalized and undergoing surgery, even though none of the customer’s accounts was approved for discretionary trading by the firm. One of the brokers involved in the trading activity, Ami K. Forte, was terminated by Morgan Stanley following the allegations but has since been hired by Pinnacle Investments, Inc. of Syracuse, New York. If you or someone you know lost money as a client of Ami K. Forte, Terry McCoy, Pinnacle Investments, Inc. or Morgan Stanley Smith Barney due to unsuitable, misrepresented, or unauthorized transactions, please call the Frankowski Firm at 888.741.7503 or fill out this contact form.